← Are you aware of the 5 top wedding flowers? 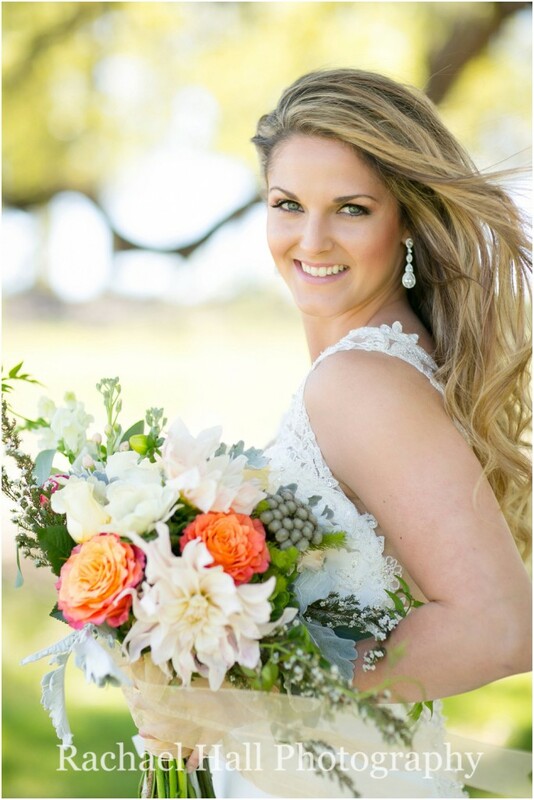 Here at Texas Blooms & Gifts, we’re in love with weddings and the amazing beauty, grace and joy they bring into people’s hearts. We love the excitement, we love the preparations and we love the almost magical way in which all details come together to create perfect events that mark our clients’ lives forever, especially at a destination venue, like a gorgeous Texas ranch wedding. 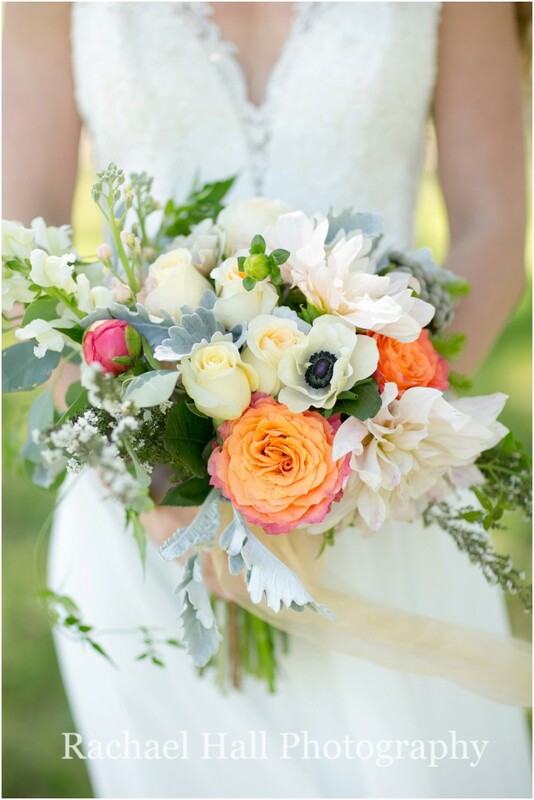 The bouquet combined pretty blush pink shades with darker and brighter shades of pink and orange, to create a fresh, spring-inspired arrangement that went perfectly with the blooming blue bonnet-embraced Texas Hill Country ambiance. 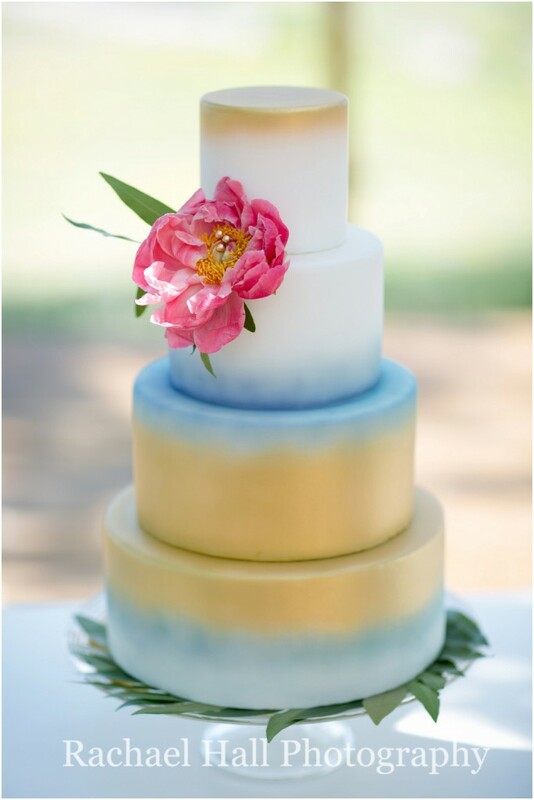 A white fondant covered wedding cake with blue and gold ombre touches “governed” the entire event with a rare kind of elegance and grace. Instead of a cake topper, the cake was decorated with a lush flower to complement the spring feeling in the air. 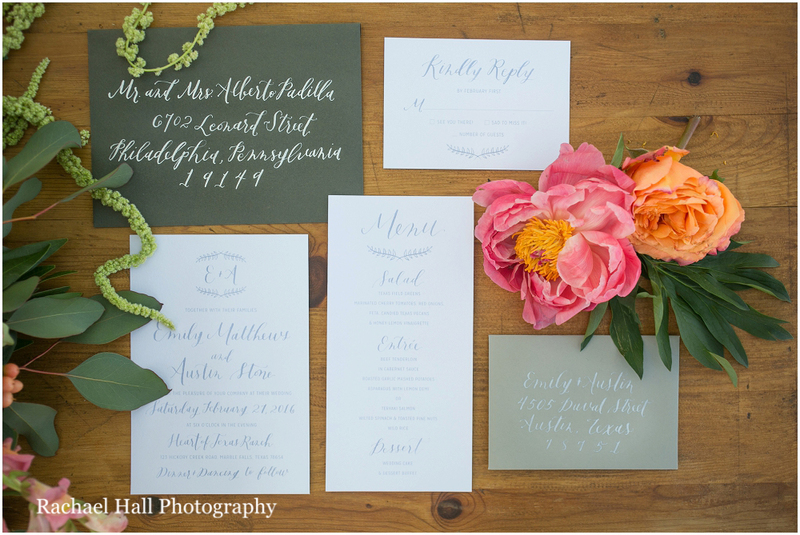 The invitations and stationery were created on dark green, white and grey backgrounds, with unique fonts and a vintage touch that made them all the more special. Just as the rest of the wedding, the invitations spoke about refinement, sophistication and uniqueness in a truly timeless way. 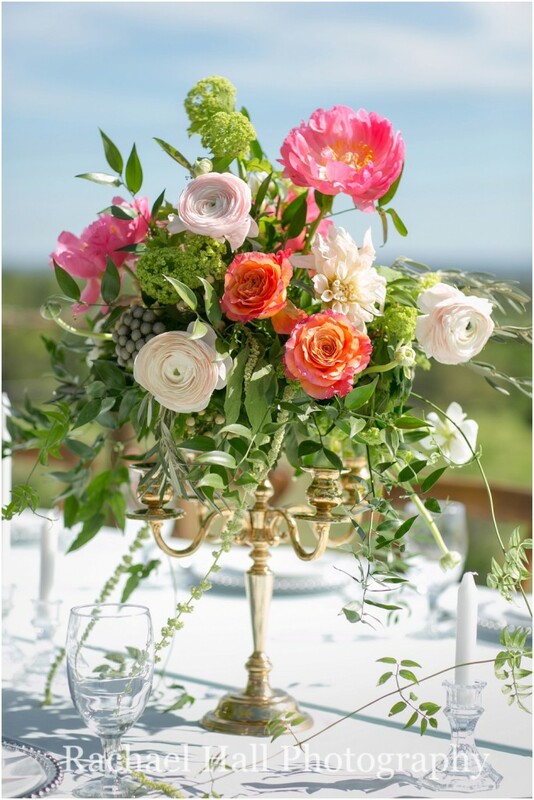 Searching for a wedding florist in Texas? 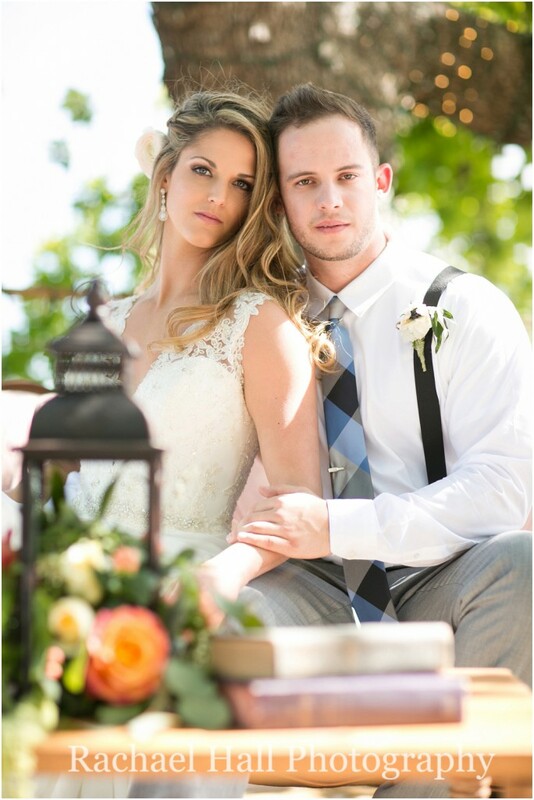 Contact Texas Blooms & Gifts and let’s talk about your big day! Together with you, we will create drop-dead-gorgeous flower arrangements to complement your special wedding style, your love story and everything you like! 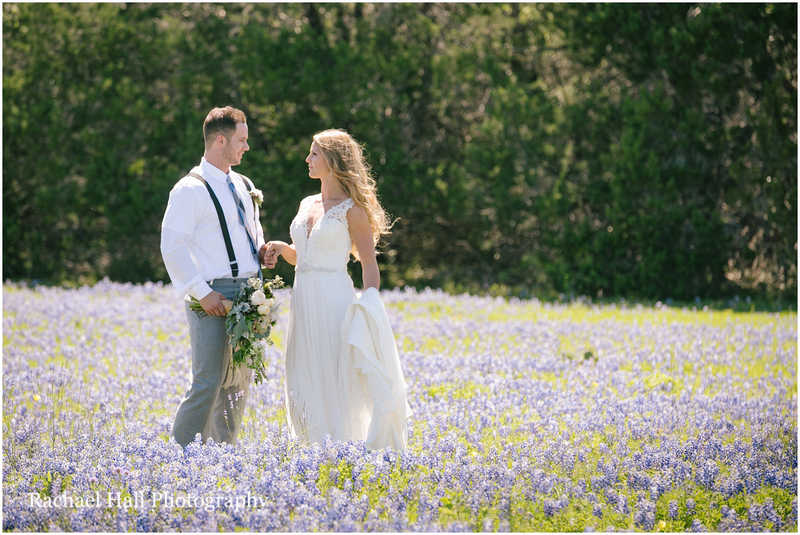 Contact us and choose to work with a true professional who will know exactly how to listen to you – and, more importantly, you to make your dream Texas ranch wedding florals come true! This entry was posted in Uncategorized and tagged #bride, #engagement, #groom, #marriage, #texasbloomsandgifts, #weddingcake, #weddingdecor, #weddingdesign, #weddingflowers, #weddinginvitations, #weddingphotography, #weddingplanning, #weddingtrends. Bookmark the permalink.